The G4 possesses all of the assets to become your favourite vehicle and is a true alternative to a car. 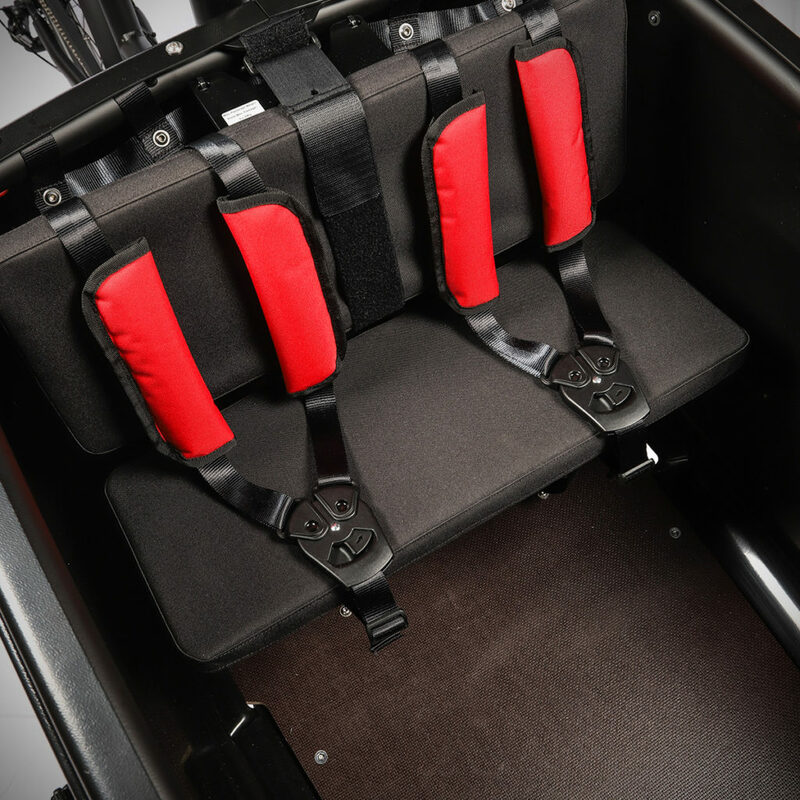 The G4 has a large storage area of 270 litres which can be locked to effectively secure its contents. Thanks to the innovative lid and the partial opening, there is no need to choose between transporting the children and having a completely closed compartment: both are possible in one trip. 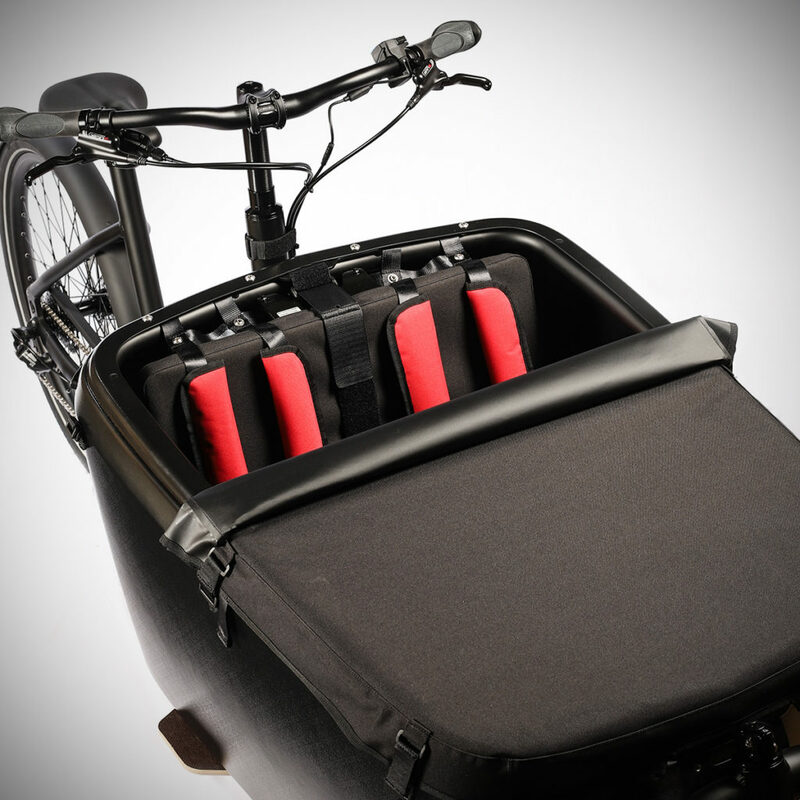 The compartment gives you an advantage of over 270 litres. The G4e was designed to make your daily life easier. 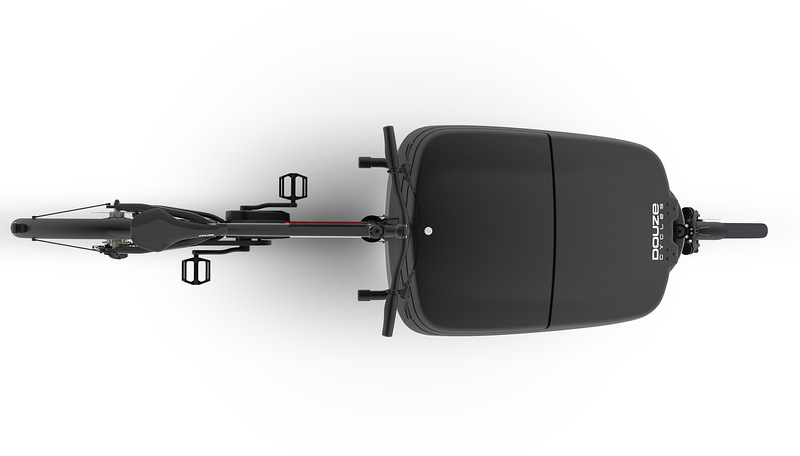 The pure design gives the bike dynamic lines and sleek curves, trailblazing the next trend in terms of passive safety. 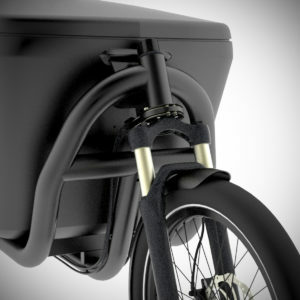 Constructed around two main shells, it is formed with a recyclable anti-lock braking system. One aluminium structure situated inside gives it rigidity, effectively protecting the children in case of a fall. The G4 has a large storage area of 270 litres which can be locked to effectively secure its contents. Thanks to the innovative lid and the partial opening, there is no need to choose between transporting the children and having a completely closed compartment: both are possible in one trip. The key allows the contents to be securely locked. The G4 compartment comes with a soft waterproof cover. 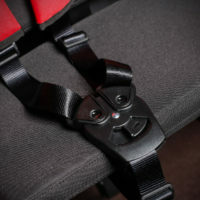 The seat is equipped with two 3 point seat-belts which are adjustable; the buckle is easy to secure thanks to two magnets. Only an adult could open the system. 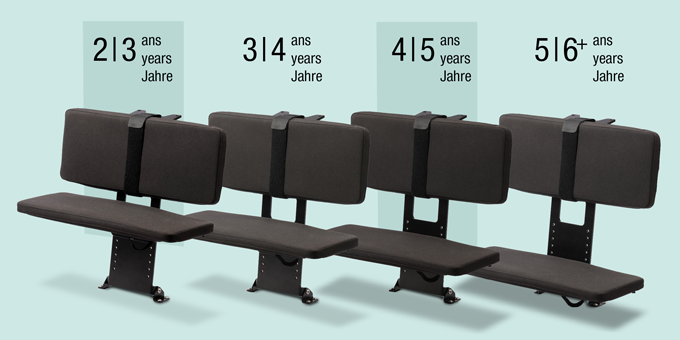 The seat can be adjusted into six different heights, allowing for their ultimate comfort and security, whatever their age. 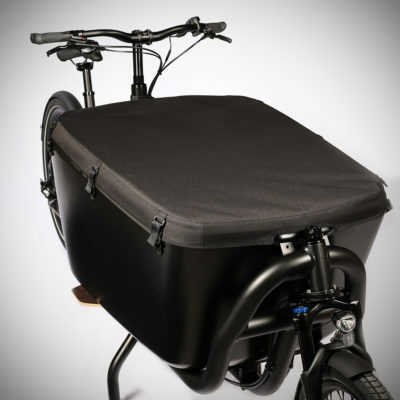 A large stand prevents the cargo bike from falling over and small step makes it easier for even young children to climb inside the compartment. 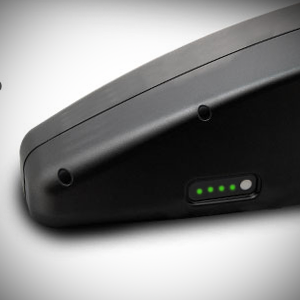 One can access the battery simply by tipping the seat over. 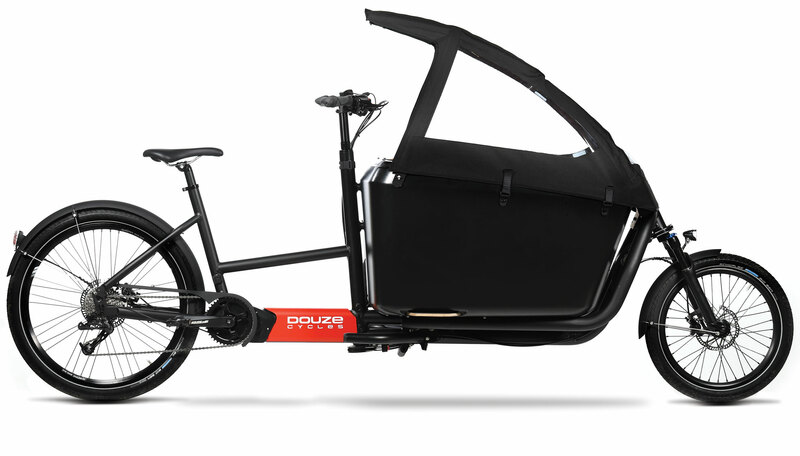 The Douze G4 benefits from the exclusive system of cable steering created by DOUZE Cycles in 2012. 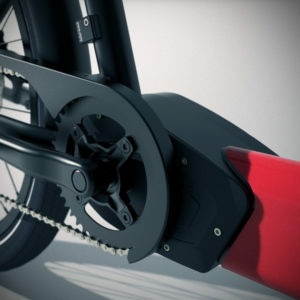 This technology is proven to increase the handling even in tight spaces, and allows it to feel as if you were riding a traditional bike. 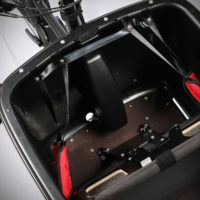 This exclusive system of cable steering offers exceptional manouverability! The angle of rotation of the fork rotates up to 75º to the right and left. At a low speed, you an manoeuvre freely and do a u-turn in tight spaces. However, the steering stays tight and strong when the speed accelerates. The symmetry maintains the course in case of intense braking. 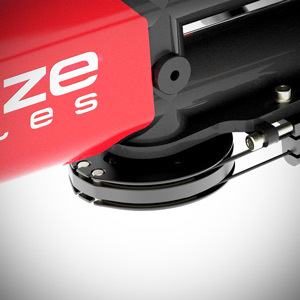 Compared to a classic steering system, the handling of DOUZE are simple and intuitive. No matter where they go, the new suspension fork offers great riding comfort, cushioning and unmatched handling for more safety. It is specially sized for the use on a cargo bike, and integrates the pulley of our cable steering. 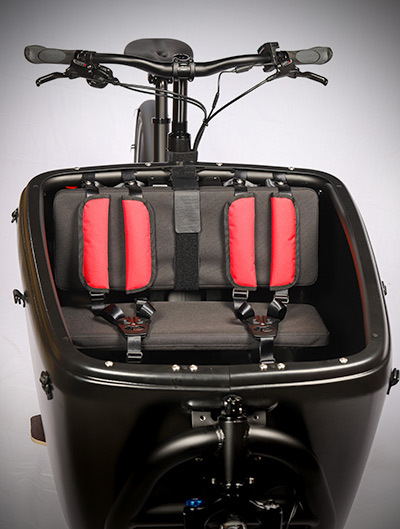 Experienced riders will appreciate that it is adjustable and lockable if necessary. 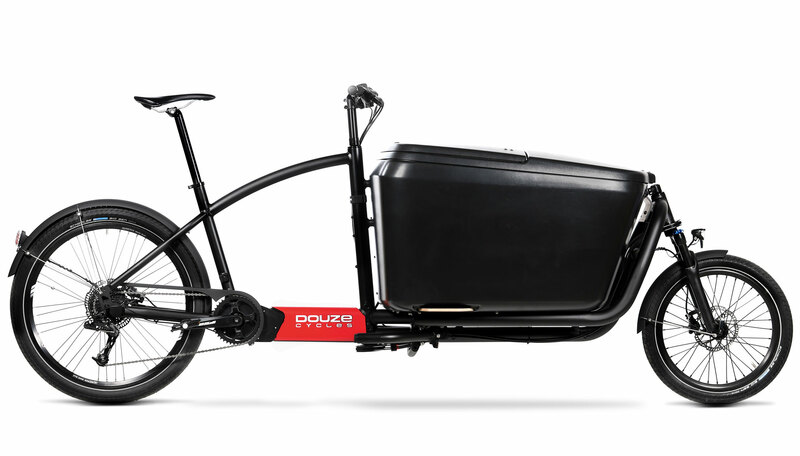 The hydraulic disc brakes are a must-have on a cargo-bike. The Tektro GEMINI offers you progressive and powerful braking. Depending on your needs and the terrain where you will take your DOUZE, we propose to you different transmission solutions. 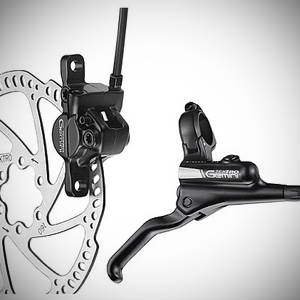 The SRAM 9 speeds derailleur is originally installed on the G4e with a Gearsensor, that is very simple to use. 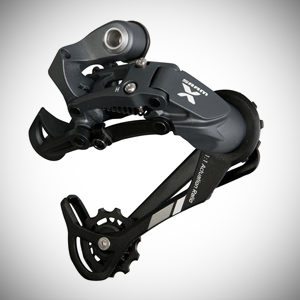 We also offer the possibility to install a NuVinci N380 hub for an easiest and smoothest shifting. 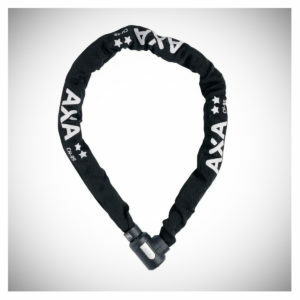 The anti-theft chain BY AXA will secure your G4 effectively. The casing is nylon to protect the painting of your frame from scratches and damage. The from and rear lights are always available to be seen in any circumstances. 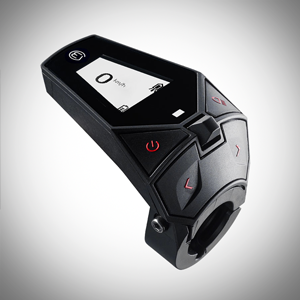 The lights are connected to the battery and can be turned on with the RC3 controller. If you have any questions or need help configuring your DOUZE, we’re here for you.